Kids simply love Lego and it continues to be one of the most popular toys of all time. So it’s no wonder that we keep thinking up ways to use Lego in our everyday lives as adults – and of new ways our children can use it. Obsession by Lego fans has led to many sensational creations but I think French company Lunatic Construction (love the name!) 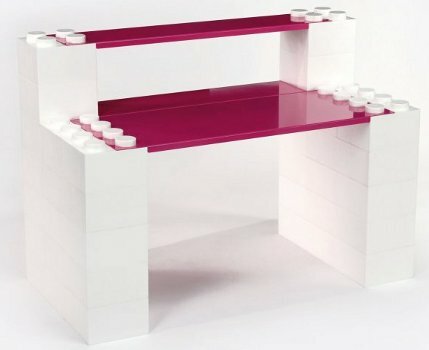 beats them all with their Lego-inspired and life-sized adult and kids furniture. 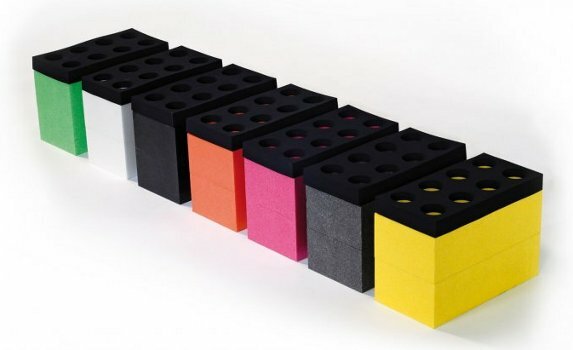 I say Lego-inspired as they’re not real Lego but Lunatics’ own creation of LunaBlocks – polypropylene foam blocks in the shape of Lego. How clever is that? It makes these quite large pieces ultra light yet strong and safe for use with the kiddies. They’re also totally customisable, where you can build your own designs with loads of colours to choose from. 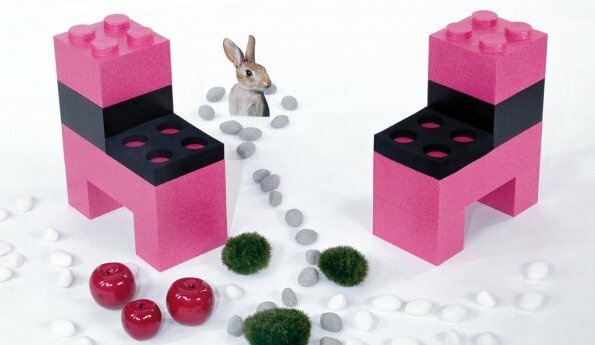 Make a green and pink desk with your daughter or how about something in a retro twist of black and white? To get your hands on some Lunatic Construction LunaBlocks, go to French webstore Carte Blanche. Prices start at €14 for the build your own blocks to €237 for the desk and €299 for the bookshelf, with shipping to Australia extra.